A lot has changed since we last saw Salt Lake City-born Chelsea Grin at the Vans Warped Tour in Milwaukee, Wisconsin 2016, new music excluded. The most important changes that occurred were the departures of Dan Jones, Jake Harmond, and founding member and lead vocalist Alex Koehler (who confirmed his departure earlier this year due to his battle with alcoholism). Enter new vocalist, Tom Barber. 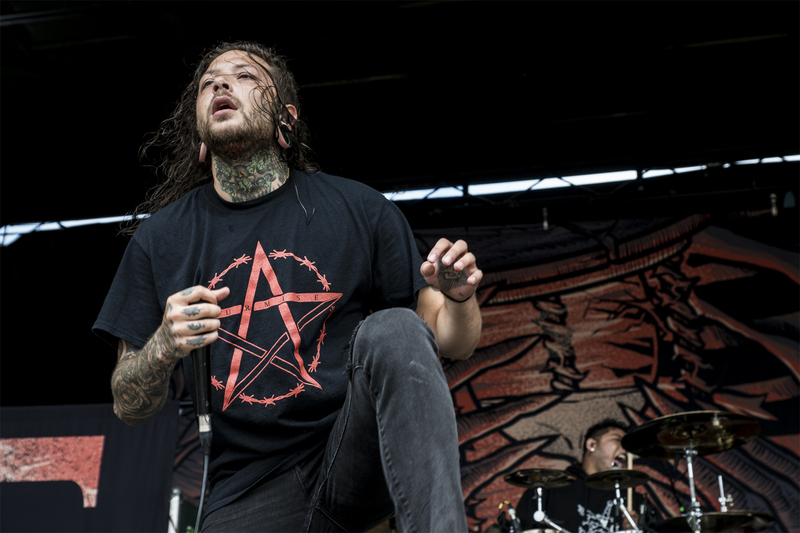 Chelsea Grin fans of the old, be at ease because Tom is as every bit as brutal as Alex was. He doesn’t replace Alex by any means, because you can never “replace” the original, but he does bring the Deathcore vocals from the pits of hell as Chelsea Grin fans expect. Get to know Tom, along with guitarist Stephen Rutishauser, as they talk with Mischievous Mel at the final Vans Warped Tour stop in Milwaukee, Wisconsin as they talk about what’s new right now and the stories beneath their ink.